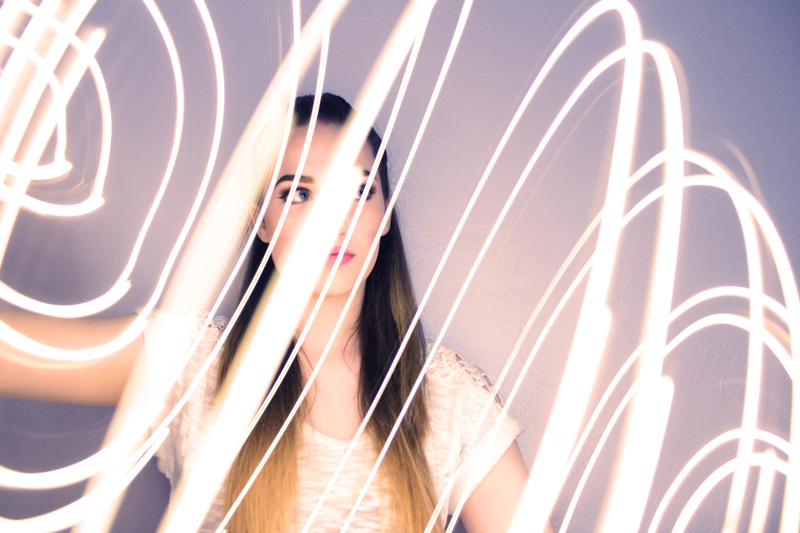 This photograph of my sister was an experiment in light and exposure. I had her twirl a string of fairy lights in a dark room while I set up my camera to shoot with an exposure of 1-3 seconds. The resulting photo features streaks of light illuminating the image. Due to the simplicity of this image, it has proved to be an excellent starting point for further experimentation with color effects in Photoshop.